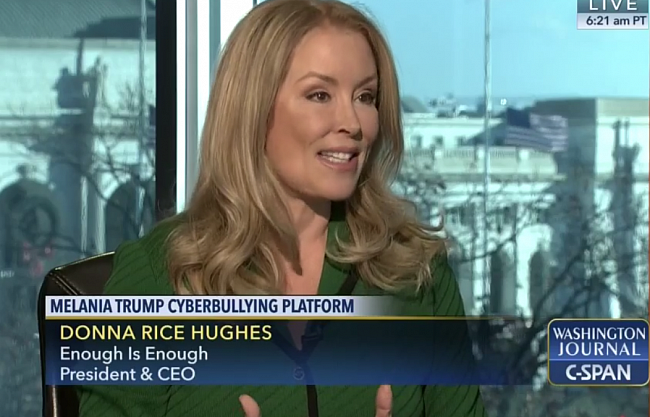 Donna Rice Hughes, President and CEO of Enough Is Enough® (EIE) is an internationally known Internet safety expert, author, speaker and film producer. Since 1994, she has been a pioneering leader on the frontlines of U.S. efforts to make the Internet safer for children and families by implementing a three-pronged strategy of the public, the technology industry and legal community sharing the responsibility to protect children online. This strategy has been adopted by industry and governments worldwide. Under her leadership, EIE created the Internet Safety 101 Program with U.S. Department Of Justice. 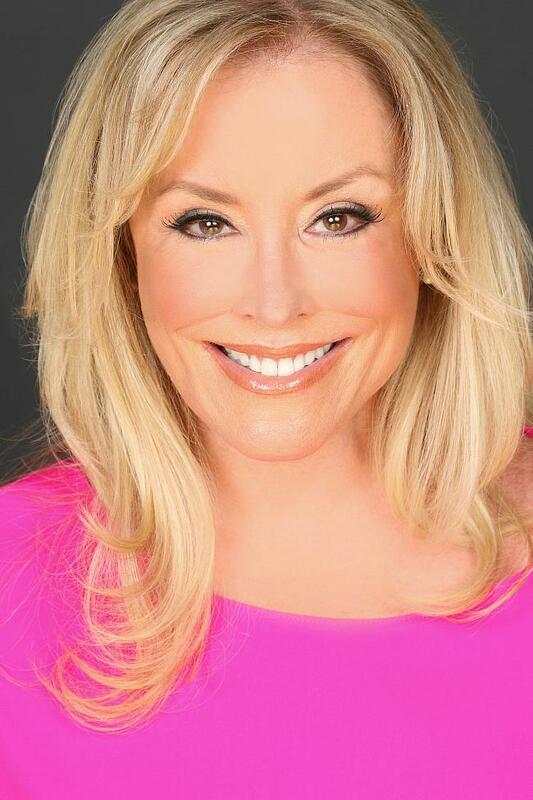 She is the Executive Producer, and host of the Internet Safety 101 DVD series which was reformatted into the Internet Safety 101 Television Series for PBS and earned an Emmy Award. She has given thousands of media interviews on the topic, testified numerous times before Congress, and most recently won 2013 Women In Technology Award for Social Impact and the 2014 Professional Women in Advocacy Excellence In Advocacy Award for “Veteran Practitioner”. 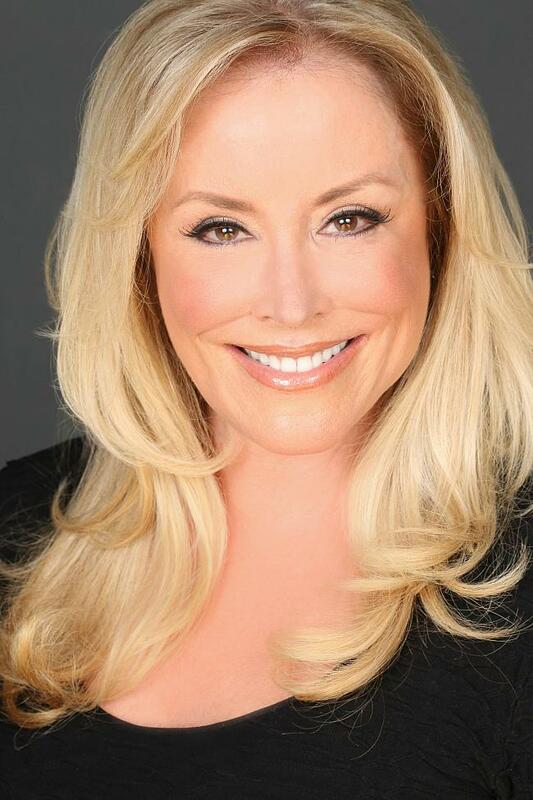 Click for a statement from Donna Rice Hughes about the film, "The Front Runner"
Enough Is Enough®'s (EIE), a non-partisan, 501(c)(3) non-profit organization, emerged in 1994 as the national leader on the front lines to make the Internet safer for children and families. 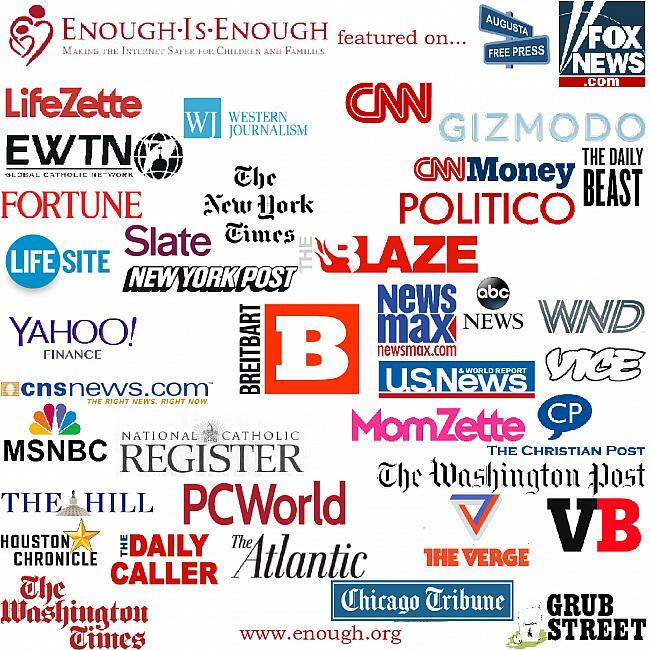 Learn more about EIE's major programs here. The Emmy and Telly award winnng Internet Safety 101 multimedia program was created to prevent Internet-initiated crimes against children through educating, equipping and empowering parents, educators and caring adults with the knowledge and resources needed to protect children from online p*rnography, sexual predators and cyberbullies , as well as cyber security risks and dangers related to social networking, online gaming and mobile devices. The proven evidence-based curriculum motivates and equips adults to implement both safety rules (non-technical measures) and software tools (technical measures) on youth's Internet enabled devices. To book Donna as a speaker, contact Premier Speakers.